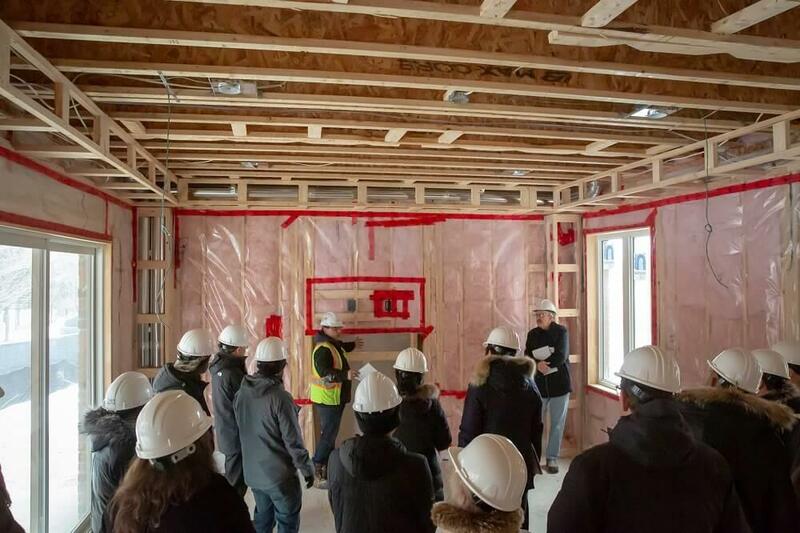 Two groups of 30 people toured the pre-drywalled home to get a behind the scenes look at the advanced construction methods and high-end materials Geranium uses in their homes. Yes, Geranium’s luxury homes are stunning from top to bottom, but what’s behind the drywall matters, too! The under construction home at Allegro will open as a model home this summer, which will showcase the timeless exterior design and quality interior features and finishes of the Allegro estates. 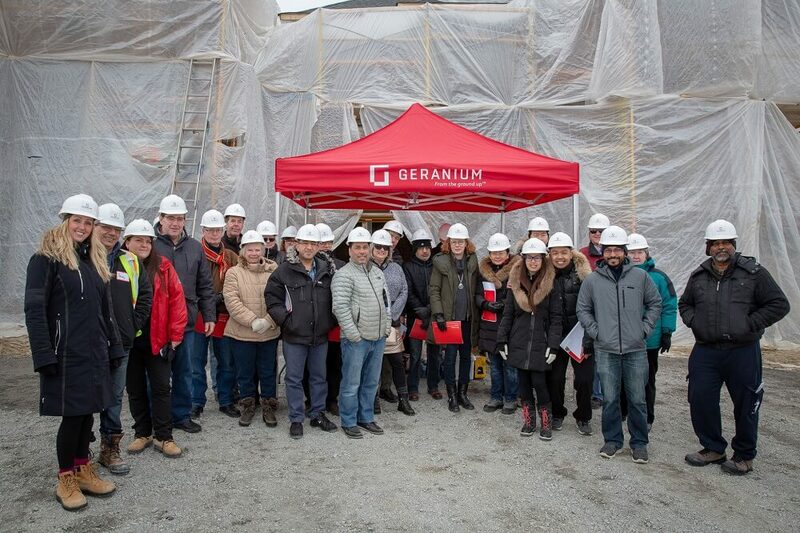 Geranium took this as an opportunity to highlight a few of their best practices that ensure they exceed the standards set out by the Ontario Building Code. “We’ve been building quality homes in first-class neighbourhoods since 1977, and while designs and construction methods change and evolve, what remains constant is our commitment to create and build communities that stand the test of time,” says Boaz Feiner, President of Geranium, in a video about the construction tour. The Hard Hat Tour was led by General Site Superintendent Brent Shaw and Allegro Site Superintendent Guy Marcello. Each group toured the basement, main floor, and second floor over the course of an hour, getting a sneak peek at what’s going on inside the Allegro home. “We use the latest and most innovative building materials and construction methods to deliver built in value - in essence, future-proofing our homes to protect our homebuyers’ investment,” says Louie Morizio, VP of Construction, Geranium, in the video. A few of the features you can expect in a Geranium home include cement-based cladding, raised-roof trusses, OSB engineered sub floors, upgraded insulation, and many maintenance-free materials used throughout. Located in the heart of downtown Aurora, Allegro is surrounded by dining, shopping, top quality schools, and numerous recreational opportunities. This is the ideal community for families in search of elegance and luxury. Allegro features a selection of three- and four-bedroom estates, ranging up to more than 4,300 square feet, and starting from more than $2 million. 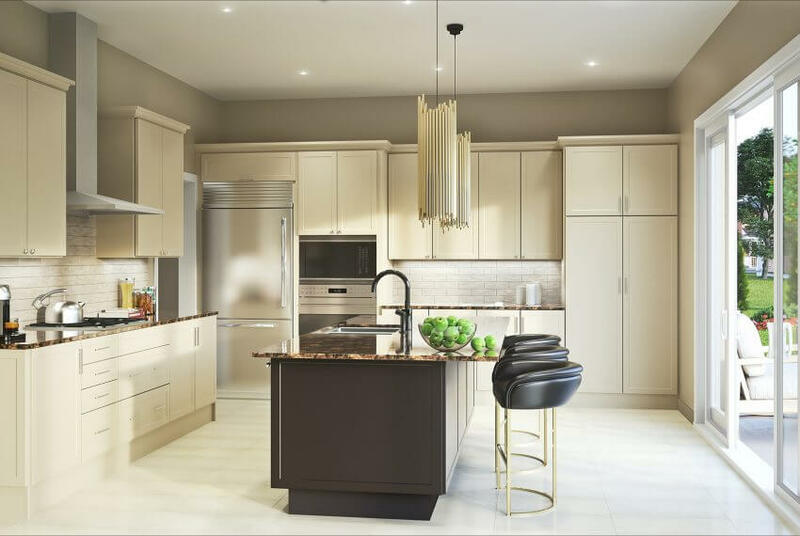 To learn more about the available models and lots at Allegro, visit the sales office at 21 Golf Links Dr. on the weekend from 11 am to 4 pm, or call 905-503-6300.